Office 365 shared mailboxes are used to hold the data commonly shared by many users. Multiple users can access and manage the data residing in a shared mailbox. There are certain situations when you need a backup for Office 365 data (including shared mailboxes), like inadvertent data deletions, data loss risks, compliance requirements, etc. Let us learn how to export shared mailboxes to PST via manual approach using in-built eDiscovery utility. Perform export by following the given steps. Login to your Office 365 account as an administrator and click Admin. Then expand Admin centers and select Security & Compliance. Now navigate to Permissions>e-Discovery Manager role group. In the properties window of the role, click Edit option and add your account to the eDiscovery Administrator list. Along with other role groups, check whether Mailbox Import and Export role group is assigned. If not, assign this group in the role groups using the Edit option. You can also add filter options like keywords, from/to/subject, message types, etc. by checking the related options and clicking Add. Enter a name and description of the search process and click Save. The search progress is performed in the background. Go to Content Search again, click Refresh and select your created search. In the Mailbox PST Backup window, click More>Export results. In the Export Results window, select the desired options and click Export. The export process is started. You can see the progress in the Export tab. Wait for the process to finish. Download the results if you want to. At the bottom of the page, an export key is there which you can copy to clipboard. Then e-Discovery export tool will open. Paste the copied export key here. 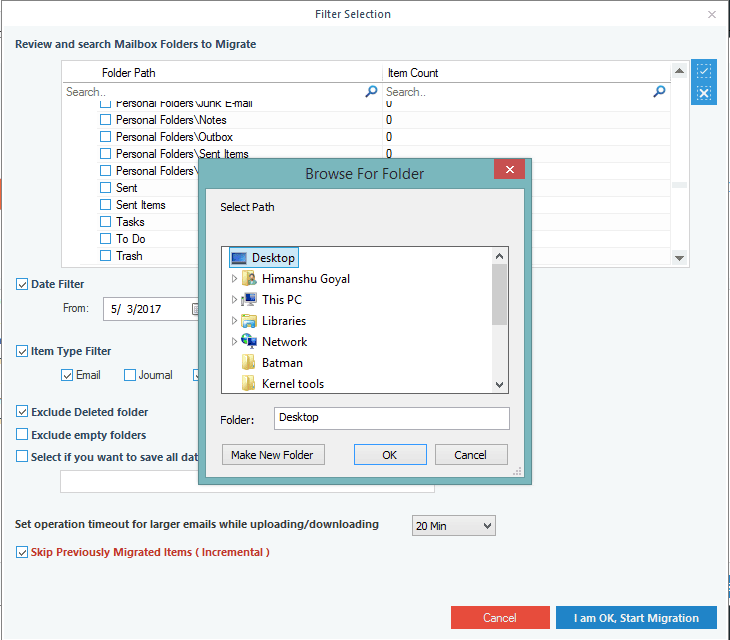 Provide the saving location for PST file and click Start. The tool will start the export process. Once completed, click the Finish button. 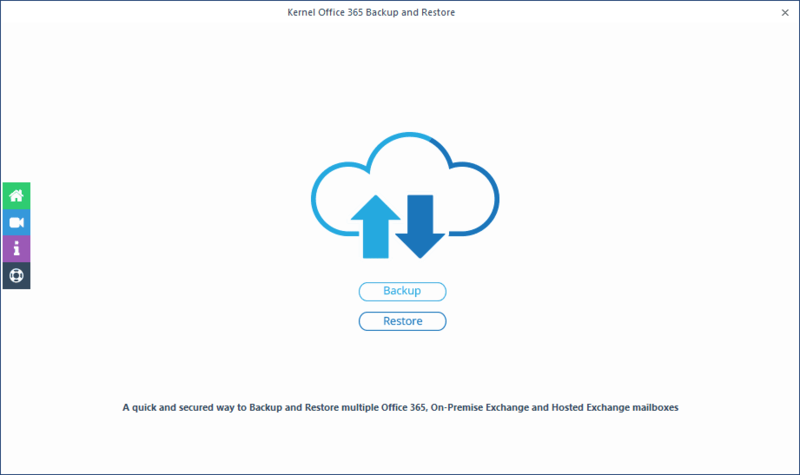 To avoid such a lengthy and unreliable method to transfer Office 365 shared mailboxes to Outlook PST file, you can try our robust software Kernel Office 365 Backup & Restore software. It not only exports Office 365 mailboxes to PST file, but also helps in restoring PST file back to Office 365 environment. Download and install the software on your system. Let us see how it works. Launch the software and click the Backup option. To add Office 365 as a source for backup, click the Add button. 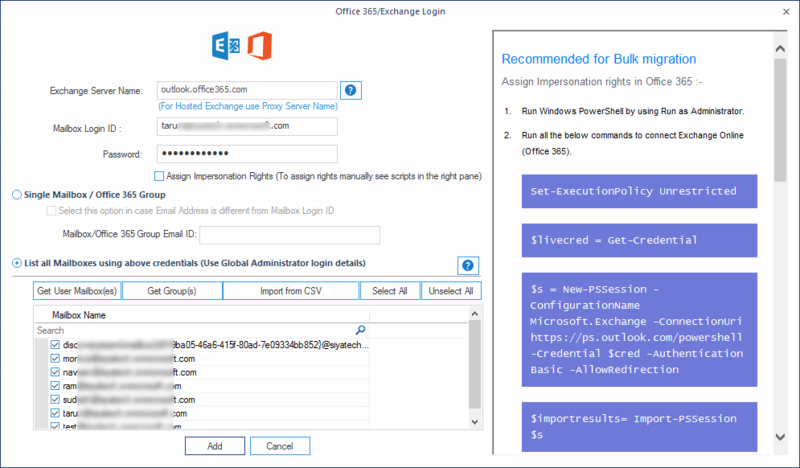 Now, provide your Office 365 Administrator account credentials. Select List All Mailboxes using above credentials, then click Get User Mailbox(es). Make your selection of mailboxes and click Add. 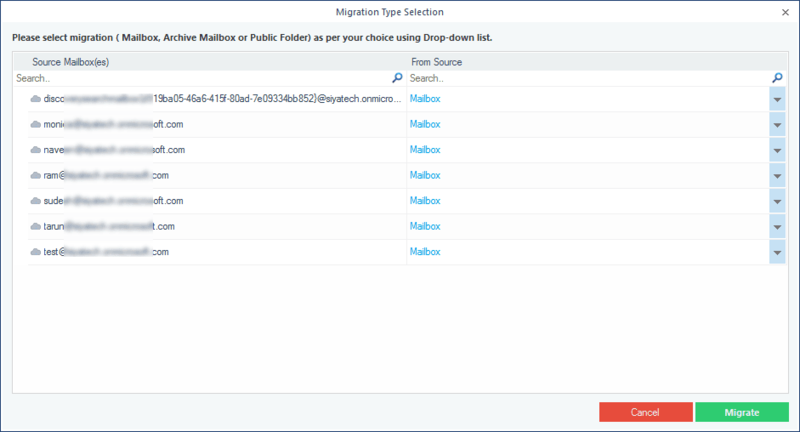 Select the option Mailbox to add shared mailboxes for migration and click Migrate. 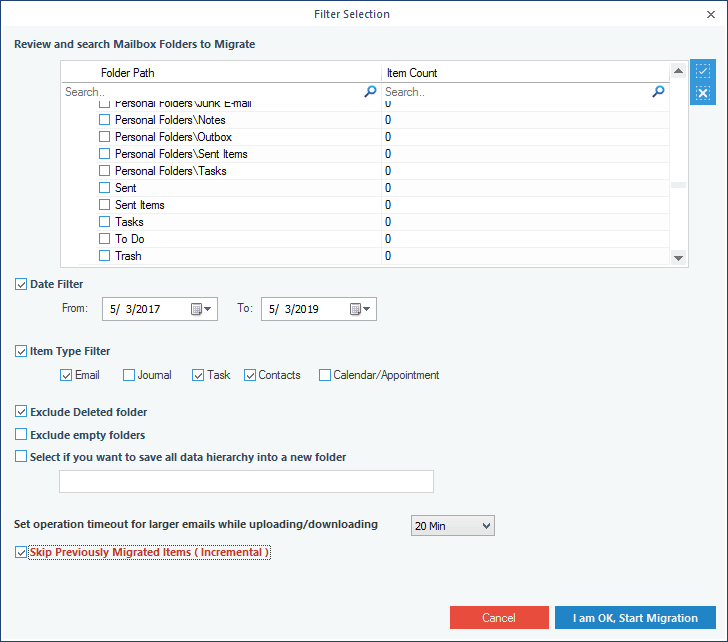 In the Filter Selection window, apply filter options (date range, folder exclusion options, skip previously migrated items, etc.) as per your requirements. Finally click I am OK, Start Migration. Provide location for saving the backup PST file. The backup process starts. When the tool confirms completion, click OK to finish the process. 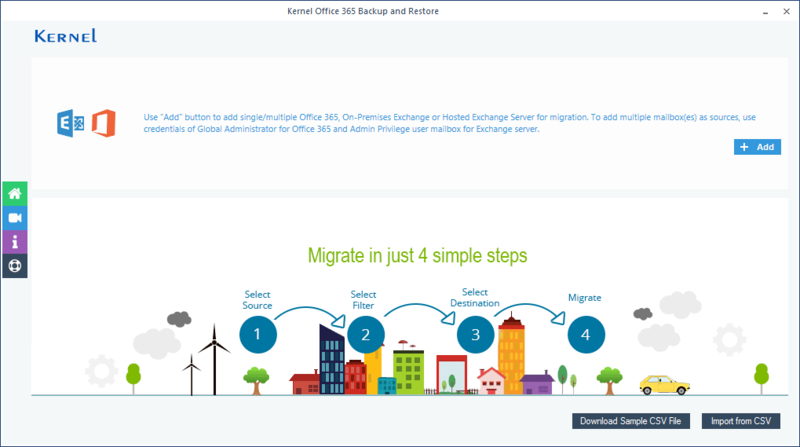 Thus, as you went through the easy steps for the migration of Office 365 shared mailboxes to Outlook PST file with Kernel Office 365 Backup & Restore, you surely find it more convenient than the manual way of export.